Your brand new app is finally published on the Google Play store. Way to go! As initial downloads start to roll in, you’re feeling excited. You get your first users and it feels pretty awesome. Well, it’s not victory just yet. You surely want to continue growing and reach a larger audience with more potential customers, right? In order to do that, it’s crucial you understand what drives downloads and how you can improve. That’s why you’ve got to start measuring your progress and see where you’re lagging. The Google Play store is a massive marketplace with more than 2.2 million apps, and provides countless opportunities for companies and individuals alike to reach their potential customers. However, with such an enormous volume of apps, it can be quite difficult to find your “sweet spot” — the best place to attract potential customers. One of the first steps you need to consider in your pursuit of having a well-recognized app is to prepare a description, screenshots (video is even better!) and to choose proper keywords. This can be a tricky and time-consuming process, but there are a lot of good guides online which can help you achieve this. Now comes the tricky part — being and staying successful on the Play store. How do you know if the keywords you chose are the right ones? What’s the best way to keep track of how your app views or downloads change when you change a keyword or description? Which metrics are best to keep an eye on? Read on, we have you covered. These are the 5 most important metrics every Play store Analyst should pay attention to in order to track how their app is doing. Too few impressions? Try promoting your app more on different channels like Twitter, Facebook, Reddit, etc. To increase page views, your title, rating, and icon are critical. Unit downloads are hard to improve but providing good visuals and a clear “what’s in it for the user” description can help. After the download phase, it’s all about the retention ie. “stickiness” of your app. We’ve defined a set of metrics and a clear goal on how to measure success. Now it’s important to stay persistent and always know how your app is responding to changes that are introduced. Databox provides a ready-to-ship integration with Google’s Play Developer console, where everything you’d ever need to know about your app’s performance is available. The initial template is equipped with all the metrics mentioned above and a few other essentials, so no analytical work on your end required to get up and running. However, it’s important to point out that you can customize the template as needed (different visualizations, time intervals, metrics, etc.). If you have your Play app connected with Google Analytics you can combine metrics from different data sources (Google Analytics in this example) to see even more detailed implications on changes you introduce. If you want to see it in action for yourself, this is a good starting point to help you get up and running with Databox. Don’t forget that when you’re building an app, you’ve got to consider more than just Android users. iOS is a huge platform and in order to really be able to grow, it’s a must to support both platforms. No problem, because Databox has you covered. We also offer a iTunes Connect portal integration, which provides everything you need to keep track of how your iOS app is doing. 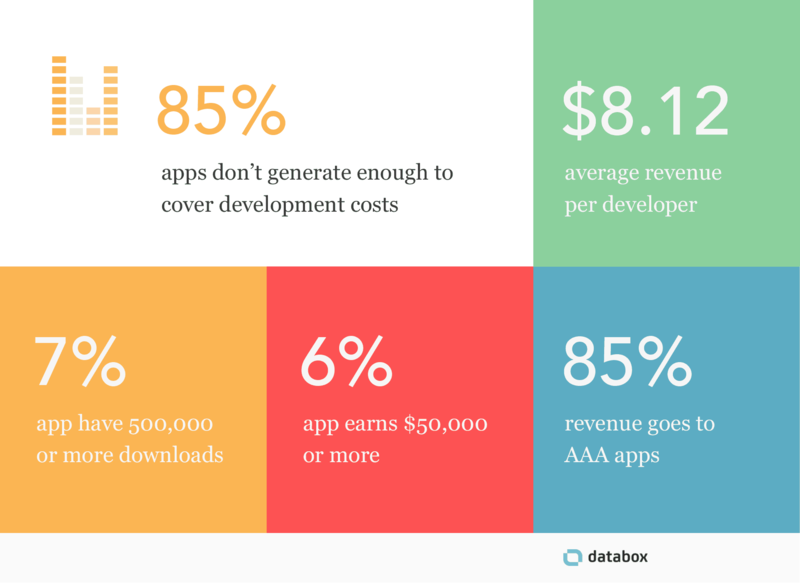 This is where Databox really shines — every metric is a few swipes away. By comparing the two platforms, you can really see what’s going on and where your focus is required. With Databox Designer, you can combine metrics from different data sources to see how your overall business is doing. We are always thinking mobile-first, but in addition to ensuring your data travels with you in your pocket, all of these metrics can be easily delivered to your office on a big TV screen, Apple Watch and even right in your Slack channels. If you work for a company and want to be truly data-driven, easy access to key metrics is a necessary starting point. Empowering everyone in your organization to make data-driven decisions will happen more cost-effectively if you find ways to democratize access to data and sharing relevant business insights. 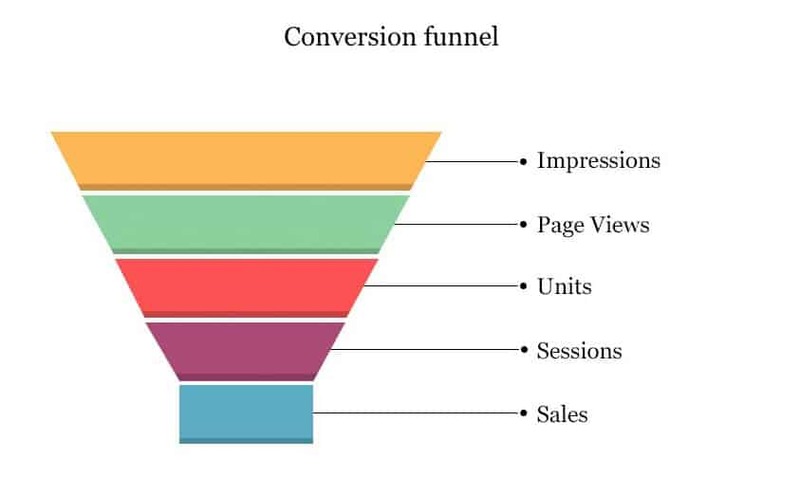 Next time you’re planning your mobile app launch, think about how you want your conversion funnel to look like. With the right approach, you can avoid a lot of problems early on! With the right set of metrics and a tool which leaves you with nothing but clear data to action, your next release will be even better! If you have any questions or want to share your feedback, feel free to use the Comments section below or drop us a tweet @DataboxHQ.